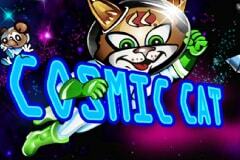 If you have ever wanted to play an online Poker machine based around the theme of an astronaut cat, then it’s your lucky day, as you can now enjoy Cosmic Cat at the many casinos which feature the Microgaming range. If you haven’t yearned for this unlikely theme, never fear, as it’s a pretty good game anyway, which has the classic layout of 3 reels with a single win line, and a highly rewarding wild symbol that any Martian moggie would be happy to win. 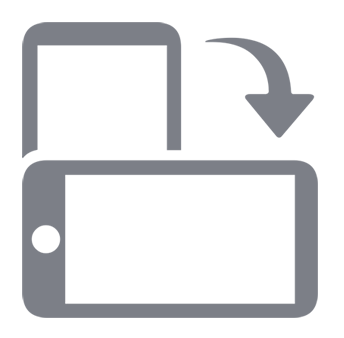 As it’s been developed by Microgaming, it can be played with no download required, either at a PC or on a compatible mobile device. This back to the basics game may have a futuristic look about it, but the way it works is decidedly old fashioned. The layout isn’t likely to put off fans of this style of game, but nor is it going to convert even the craziest cat-lady into a player of 3-reel pokies. A backdrop of stars sees our hero (Fuzz Aldrin maybe? ), floating around in his space suit, trying to catch a cute cartoon mouse, with the reels themselves positioned in orbit above them, while the right side of the screen is taken up by a paytable that outlines what wins will be blasting their way to a players’ balance for each combination of symbols. With no real bonus features to speak of, and players simply clicking to spin the reels and see what symbols land for them, the only real input they have is deciding how much to wager on each spin. It’s not the widest betting range in Cosmic Cat, with the minimum stake being just 0.50, which activates a single coin, which can be adjusted up to 5.00 per coin, while 1 or 2 of them can be played for a maximum wager of just 10.00. Looking at the paytable, there’s 2 columns of numbers, but to make it simple, we shall assume only a single coin is being used. Just double the amount if playing 2 of them, but the correct set will automatically be lit up anyway. Using a suitably digital-looking font that adds to the atmosphere to the game, this table reveals that any time the cat symbol lands on the win line a payout of 2x the triggering bet will be won, while 2 cats at once will result in a 5-coin prize. There’s also 5 coins paid out for getting a full row of any of the bar symbols, and then moving up to the single, double and triple bar icons, we see winnings of 10x, 20x and 50x the stake in turn. That mouse isn’t just for decoration on the screen, as he’s some vermin that’s earnin’ and will award players with 100x their bet when landing across the reels. Finally, we have the cat himself, who has the dual function of being worth the jackpot prize of 500x when he stops across the win line on all 3 reels, while also acting as a wild symbol. So for example, should 2 single bar icons and the cat come to a rest on the line, the cat will substitute as a third bar symbol and the spin will count as a winning combination. Will it Leave Players Feline Good? Although Cosmic Cat isn’t quite the ultimate in Sci-Fi related pokies, it’s not designed to be. Instead, it’s aimed at players who like straightforward, easy to use games which can be enjoyed without needing to adjust settings and without the distractions of side games, bonus rounds and all the other things which more modern-design games come with. In the end, if you like 3-reel games, then Cosmic Cat is a good one, that doesn’t take itself too seriously, has some fun symbols to liven up the reels and can bring in some decent rewards. The bet range could perhaps go a little higher, but that’s a minor point in what’s generally a quality Poker machine.